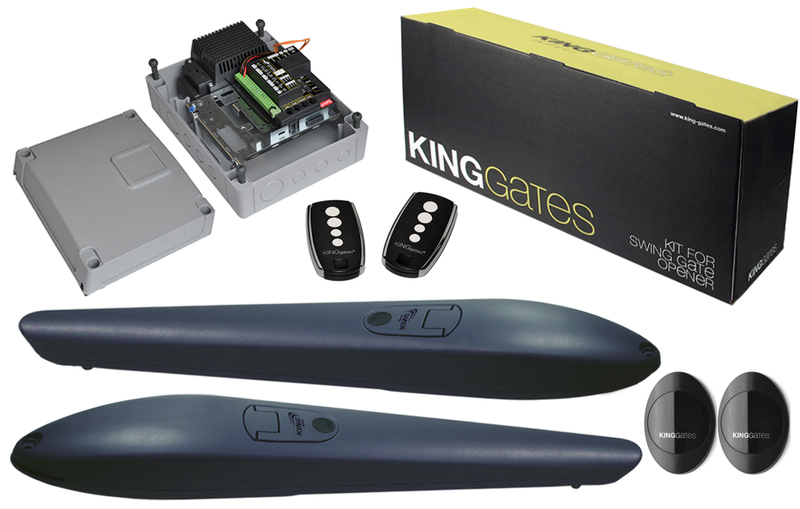 The Jet XL24 Single Kit is part of king gates new XL range of heavy duty/industrial motors. Stylish, modern and very robust the Jet XL24 has the capacity to move gates up to 6 metres and 750KG per leaf. The motor contains all steel and bronze mechanical gearing and has a strong cast aluminium body. The Jet XL24 Kit comes with 2 x Jet XL24 Motors, 2 x Stylo 4k transmitters, 1 xpair of Viky30 infra red safety beams, 2 x Mechanical stops, 2 x sets of un-welded bracketry for the Jet XL Motors. And 1 x Star G8/24 Control unit. 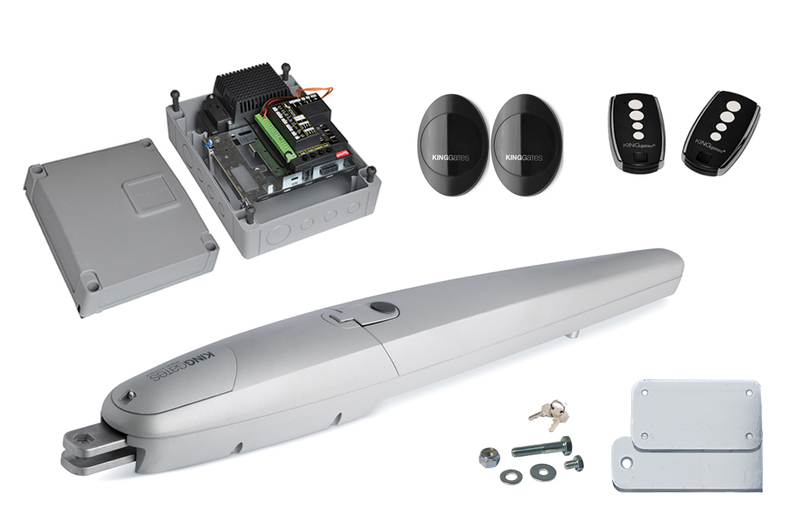 The Star G8/24 makes the kit very easy to install and programme due toits automatic programme function. It has many great features including as low-down facility on opening and closing to prevent unnecessary noise;obstacle detection to ensure safety; secondary safety input for additional photo cells and safety edges and partial opening for pedestrian use. The StarG8/24 can also be connected to the installer’s smart phone or tablet using the new King Connect. 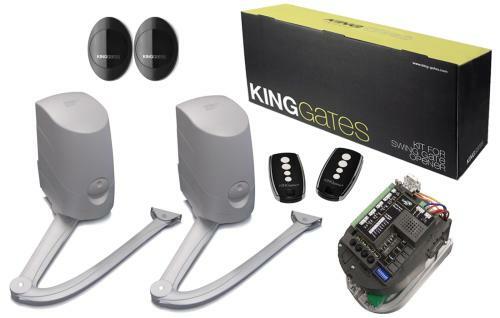 This is a WiFi dongle that plugs into the Star G8 control unit, and then using the King Gates app, you can set and adjust the installation parameters and schedule maintenances. The Star G8/24 Box is complete with 24 volt transformer and built-in radio receiver with the capacity for 200 radio transmitters. It comes in a IP54 water-resistant plastic housing.